We repeat it so often, “it takes a village to raise a child”, and while we know this is true, Trinidad and Tobago has forgotten to include this in our nation’s social and economic policies. Everywhere we go there are children, mothers and fathers. 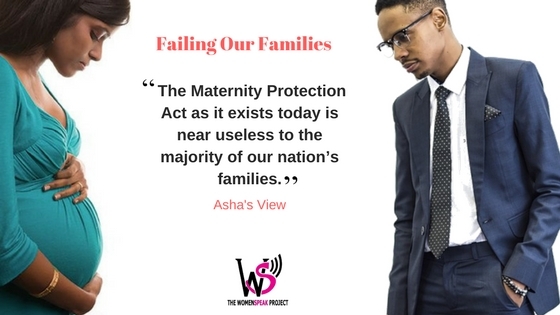 Yet despite how much of our population consists of families with children, the Maternity Protection Act as it exists today is near useless to the majority of our nation’s families. For the mothers for whom the stars align, a short 14 weeks of partially paid leave (roughly 60% of earnings) is offered. However, there are qualifying restrictions. A woman must be formally and continuously employed for a minimum period of 12 months within which time she must have worked a minimum of 150 days. Also, she must not have used the maternity leave allowance within the past 2 years. parents are as invisible as fathers in this “protection” act. The failures of our policy are widespread. Our children suffer when they are denied the care and bonding they need from their parents who are forced to be otherwise occupied with paying bills and buying formula. When the standard recommendation for breastfeeding is six months, what does a 14 week leave imply for the health of our children? Employers are forced to deal with a dramatic loss in productivity when parents are forced to permanently leave a job in order to care for children. And of course, when parents are forced to give up earnings to care for children, poverty can creep in just as fast as the bills do, carrying with it the potential to extend to our children as they carry into their future, which is our future. 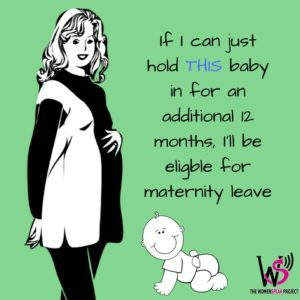 A new policy for our nation needs to provide benefits regardless of employment status, and must implement paid leave for a minimum of one year. Policies such as Sweden’s are exemplary. It provides a flat rate monthly maternity payment, regardless of employment status, calculated using average cost of living. For the formally employed, 80% of earnings are paid for almost 56 weeks, and a flat rate paid for another 13 weeks. Trinidad and Tobago should implement such a program calculated at our own cost of living, implementing a maximum payment cap the way Sweden has, in order to keep the policy sustainable. Additionally, it should lengthen the leave period to at least 30 weeks to provide for the minimum breastfeeding recommendation. 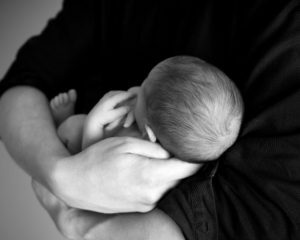 Paid parental leave isn’t a cushy benefit, it’s a necessity. We, all of us, need a parental leave policy that provides support to ALL families. New policies need to recognize that parenting isn’t just for mothers; it is for fathers, children, society and the workplace. After all, it takes a village. 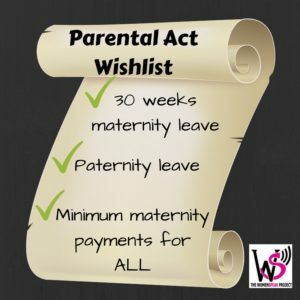 Asha shared her wishlist for maternity/parental benefits; what would you add on your wishlist? 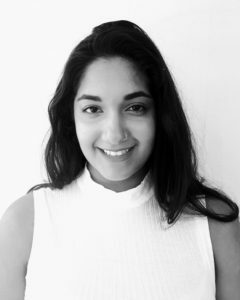 Asha, women who has multiple births like myself should be given a longer period. I left for maternity leave exhausted and I went back to work even more exhausted. I took vacation leave to extend the time at home with the babies but it wasn’t sufficient. This is a very valid point you’ve made here and you’re not alone in that experience. I’m glad you’ve mentioned this, as it should certainly be included in future policy recommendations.